When Agent Carter was cancelled by Marvel and ABC earlier this year, no one was massively surprised. Ratings were never particularly high and had steadily declined over two years, while the decision to focus more on Peggy’s struggle with being treated badly by men in the workplace (which never made much sense given her actions in Captain America: The First Avenger) rather than showing her being a badass spy who helped create S.H.I.E.L.D. never made a whole lot of sense. 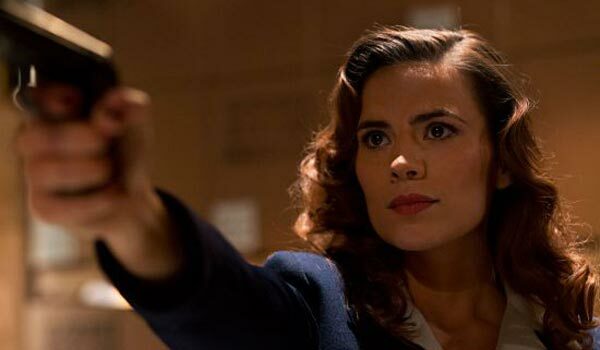 It’s still unfortunate to see the show get the axe, and during an appearance at MegaCon in Orlando this week, star Hayley Atwell shed some light on what direction the show’s third season would have gone in. That sounds interesting enough, but just like the two seasons, it almost sounds as if the third year would have continued to unnecessarily stretch out Peggy’s story rather than getting straight to the point and filling us in on the stuff fans really want to know, like her role in forming S.H.I.E.L.D. Between Captain America: Civil War and the cancellation of Agent Carter, it feels like we may have seen the last of Peggy for the time being. Sure, there’s every chance she could make some sort of cameo appearance in a flashback (similar to Ant-Man), but any sort of resurrection for the series seems doubtful, especially now that Atwell has a new TV show on ABC.